The father of hunting deer by the moon, the man who started it all, Jeff Murray, shares his best kept secrets and insights on this fascinating aspect of white-tailed deer hunting. In his latest book on the subject, Murray teaches how to predict peak rutting activity and how to plan to be afield when big bucks are moving. Other topics include tactics to zone in on deer in transition areas and when, according to moon phase, deer will be at the field's edge and when they won't! This book also covers the different lunar cycles and how the moon triggers the rut activity. Master Whitetail Hunter, Jeff Murray, broke ground with his theories on how the different phases of the moon affect whitetail behavior and movement patterns. Readers learn what moon phases make mid-morning hunting the best time to be afield and how to pinpoint the timing, intensity, and duration of the rut by using the New Moon formula. The book includes over 100 black-and-white photographs. Jeff Murray is an award-winning journalist who has broken many stories in recent years--mule deer/whitetail hybridization, decoying deer, tracking bucks, whitetail vocalization--but he ranks his discoveries on deer and the moon as the most exciting. As a popular siminar speaker, Murray has shared his multimedia presentations with the Montana, Wisconsin, and Minnesota Bowhunters; Texas Trophhy Hunters; and Christian Deer Hunters Association. 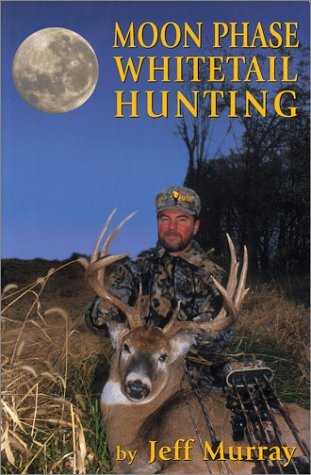 Popular topics include how the moon influences game animals and hunting strategies; scents, unscents, and nonsense; and little things that make a big difference for bowhunting success. In addition, Murray's popular and best-selling video series, Moonbeams, is available through major mail-order catalogs. Not surprisingly, Murray is a dedicated bowhunter who has harvested more than a dozen Pope and Young qualifying animals, including deer, bear, and elk.